Amazing Grace has no super human powers, however she is an expert in persuasion. The sister of Darkseid’s star propagandist Glorious Godfrey, Amazing Grace shares her brother’s gift for persuasion. 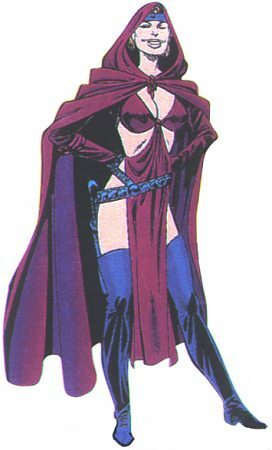 She is one of the most attractive things to arise from the hellish madhouse that is Apokolips, yet her heart is cold and her intentions cruel. She is one of Darkseid’s loyal servants.